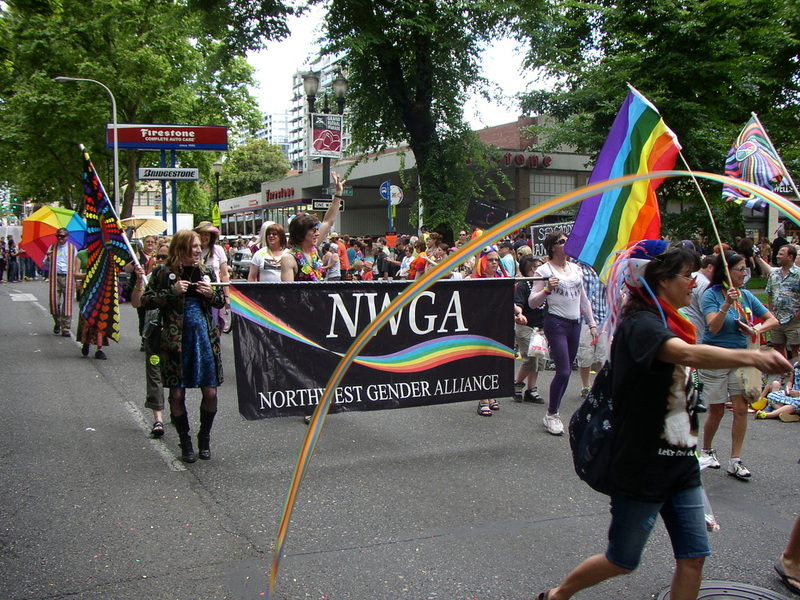 By most accounts (and the looks of these photos), Portland Pride was a blast! 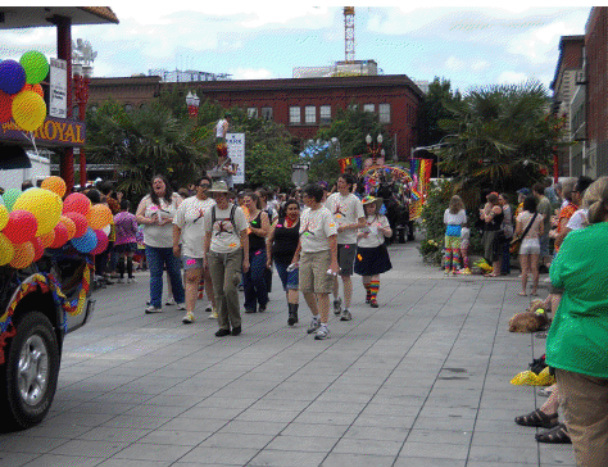 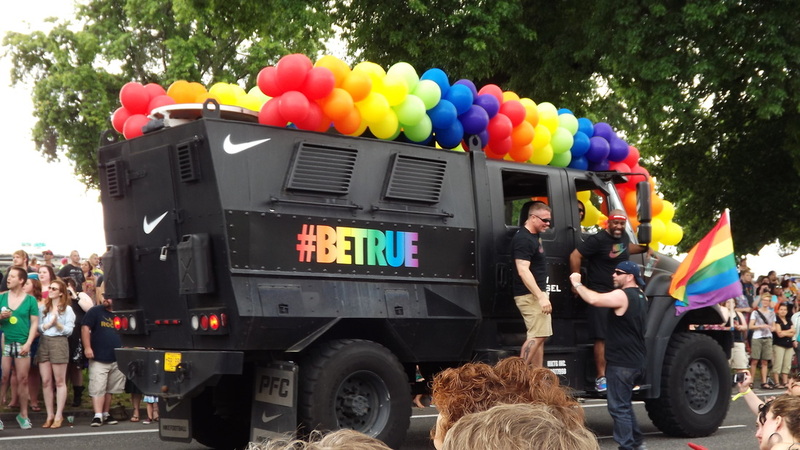 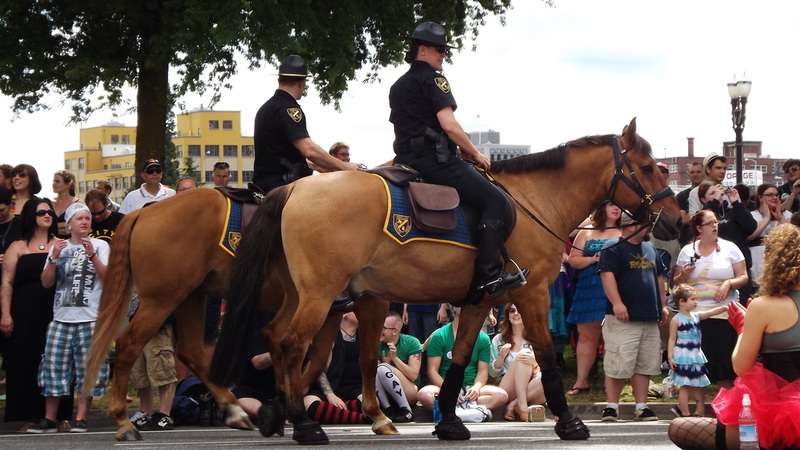 Daddy Bear reports: " There was a good turnout for the parade and festival. 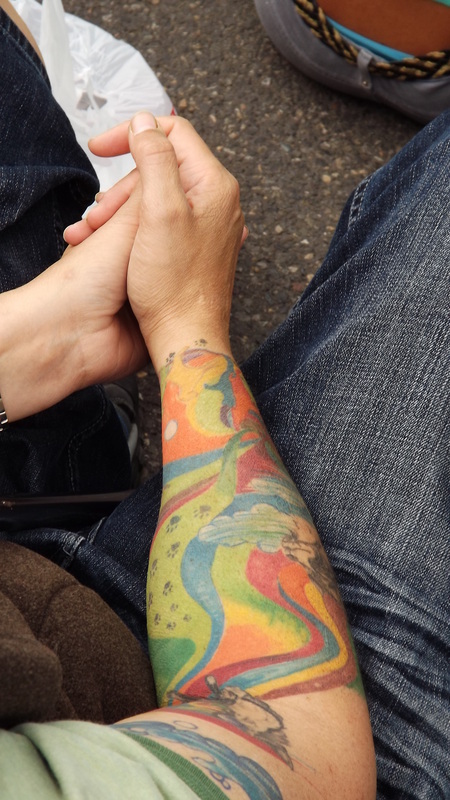 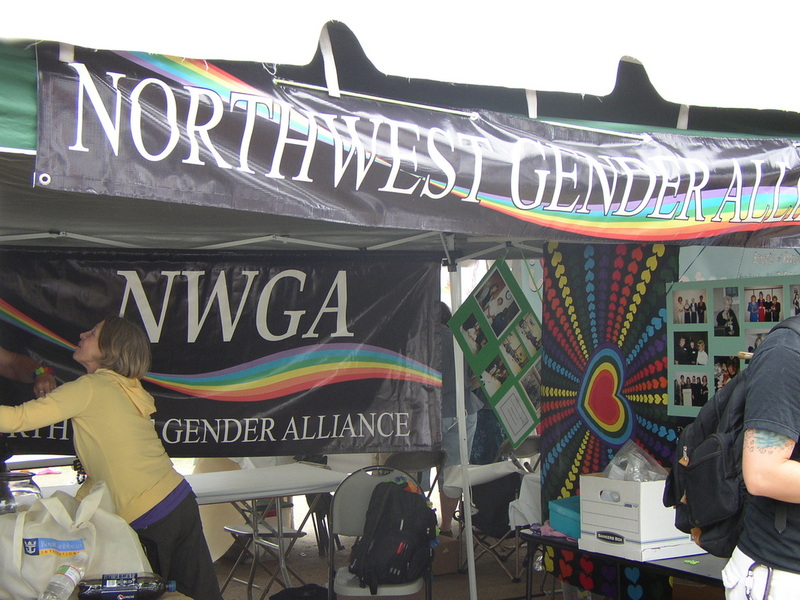 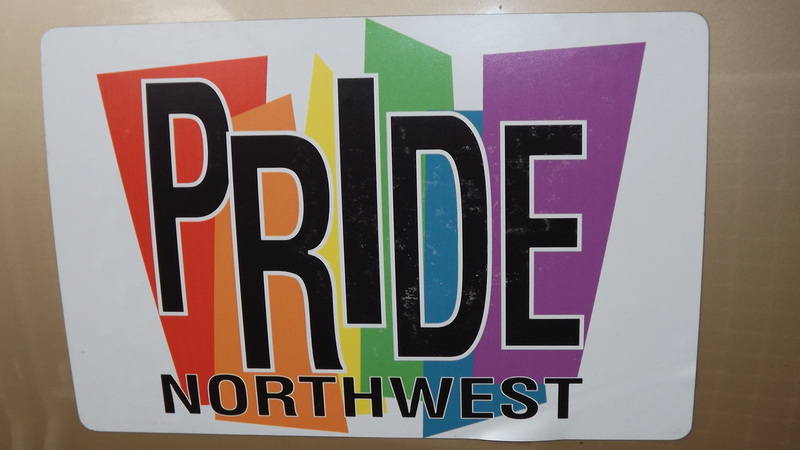 The NWGA is the Northwest Gender Alliance. 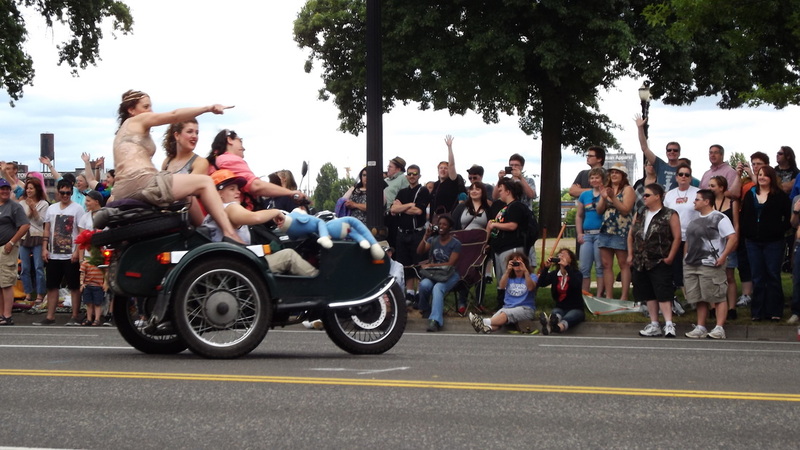 The shot of the black SUV.. that is me driving in the parade." 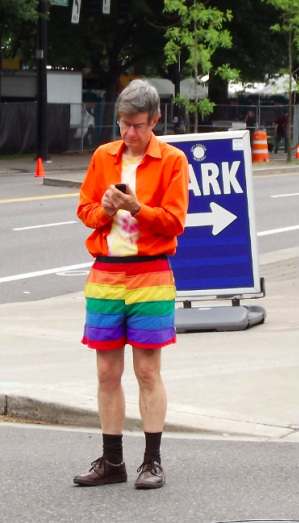 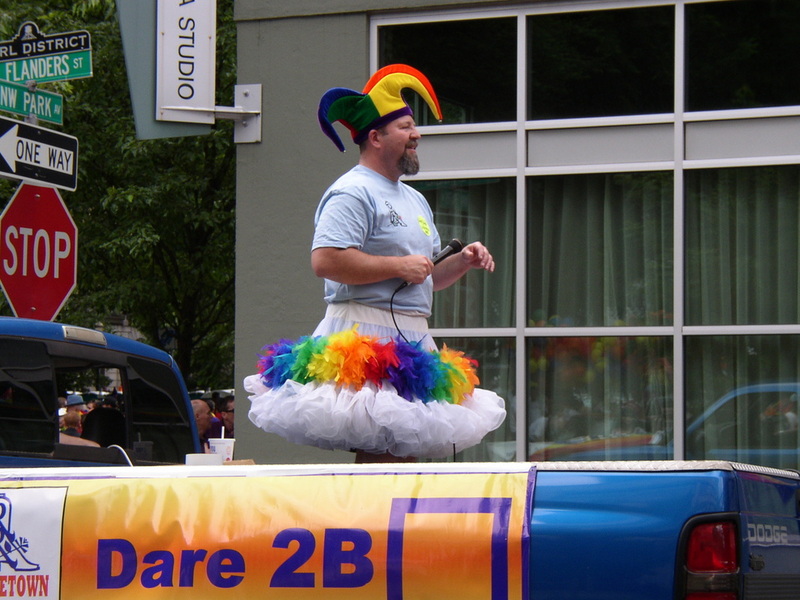 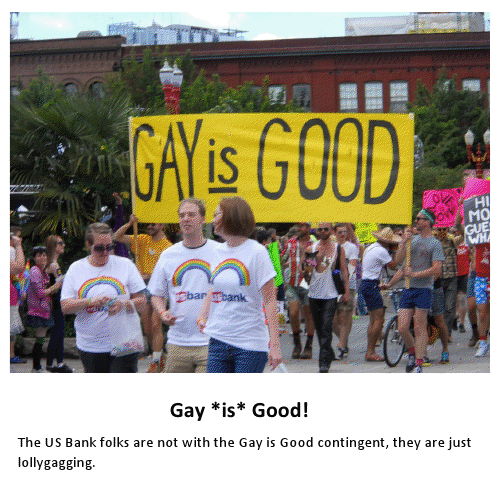 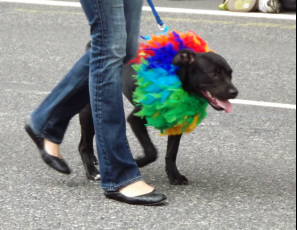 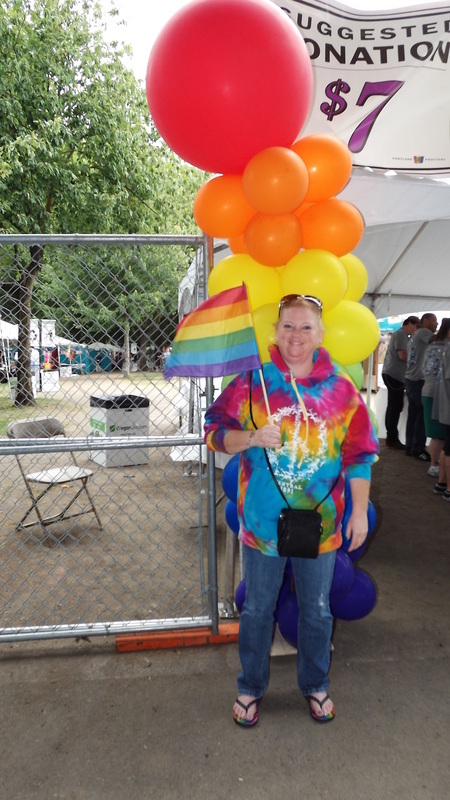 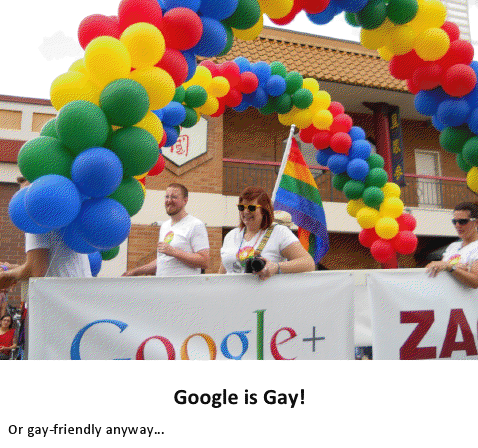 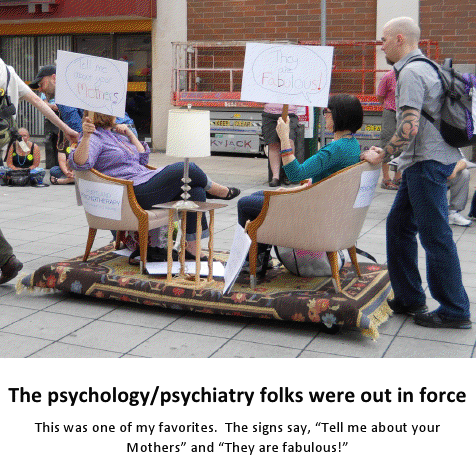 And although Dawn says she was disappointed that Portland Pride had "no floats" and was smaller than she had hoped, she also says, "The party the night before was wonderful!" 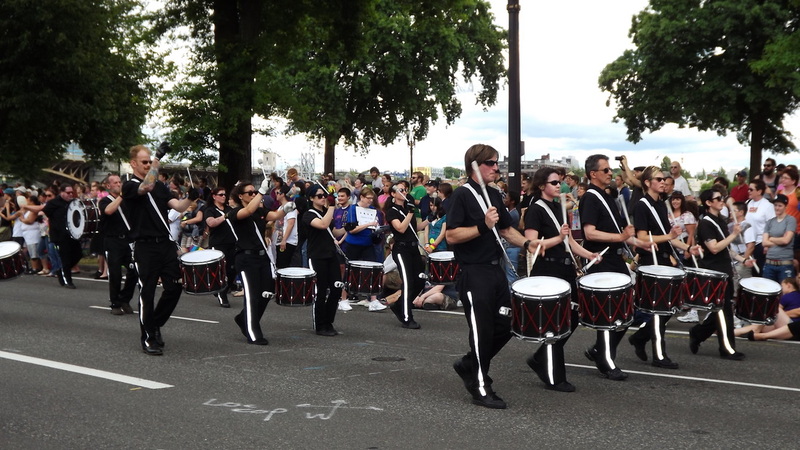 Many thanks to Daddy Bear, e, and Dawn for providing these great pictures. 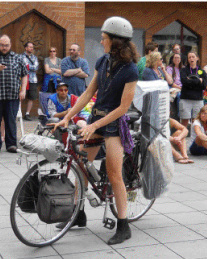 via "e," who writes, "I don't know about you, but anyone who can strap a keyboard to a bike is probably good with a strap." 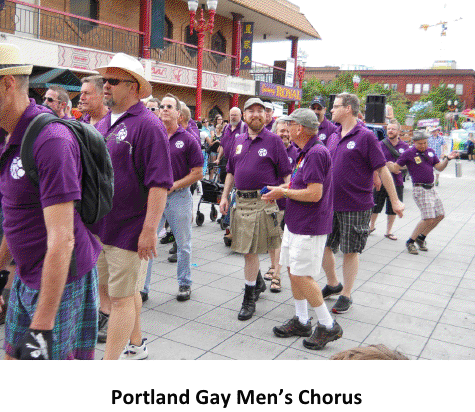 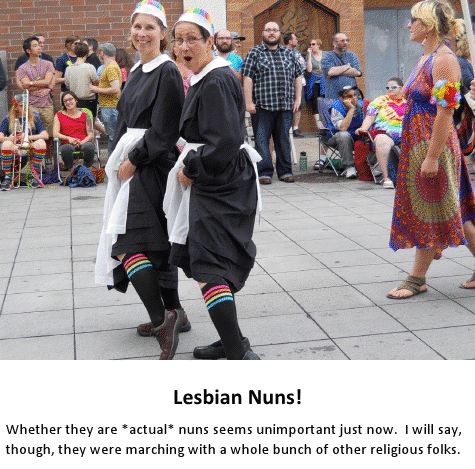 Portland Lesbian Choir, via "e"